It is absolutely imperative to take the appropriate steps following a serious car accident. There are many types of damage you may suffer when involved in a car accident. If you or a loved has been involved in a car accident, do not hesitate to contact the office of Bristol & Dubiel LLP. Our experienced personal injury attorneys know how to protect your rights and seek the compensation to which you may be entitled. 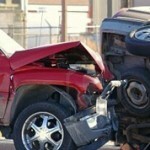 What Damages May Be Recovered for Injuries Suffered in a Car Accident? There are many elements of damage you may suffer when involved in a car accident. The expenses associated with medical treatment after the accident may be recovered. Medical expenses may be claimed even if the bills are paid by a health insurer or through your auto carrier. Medical expenses reasonably certain to be incurred in the future may also be recovered if supported by the testimony of a physician. The wages lost because of time missed from work may also be claimed even if sick or vacation days are used for some or all of the missed time. These “economic” damages are easier to calculate than the “non economic” damages noted below. Compensation for past pain and suffering may be claimed as may future pain and suffering if a doctor testifies that such pain and suffering will likely occur. “Pain and Suffering” refers to the physical pain and discomfort as well as worry, anxiety and embarrassment which results from the injury. Disability or “loss of a normal life” experienced as the result of a car accident is compensable. Disability or “loss of a normal life” refers to the temporary or permanent diminished ability to enjoy life. This includes a person’s inability to pursue the pleasurable aspects of life. The avid jogger who isn’t able to exercise after suffering injury in a car accident may be entitled to compensation for his “loss of a normal life” or disability. The disability likely to be experienced in the future is also compensable if supported by the testimony of a physician. Disfigurement suffered as the result of a car accident is compensable. This element of damage refers to the obvious damage to the body such as scarring, burns or amputation. The impact that such a condition has and will have upon the injured person is the basis of the claim. The location, size and visibility of the disfigurement impacts the degree of appropriate compensation. If the accident was the other driver’s fault, you may be entitled to compensation. Fault is determined by evaluating a variety of factors. The description of the collision by the drivers involved, witness observations, the nature and location of the damage to the vehicles, observations and conclusions of police officers at the scene and in some cases accident reconstruction are all means by which fault is evaluated. A claim may be made with the at fault driver’s insurance company. A claims adjuster is assigned by the insurer to evaluate the fault of the drivers, the nature of your injury and the property damage your vehicle sustained. It is important to remember that the claims adjuster’s job is to limit the amount paid to you to whatever extent possible. The claims adjuster represents the interests of the insurer. Involving our law firm on your behalf can level the playing field and provide the experience necessary to protect your interest in receiving full compensation for your loss. Should I Provide a Statement to the Other Insurer? Many insurers wish to secure a recorded statement from the injured person shortly after the accident. We do not recommend providing a sworn statement without first speaking to a lawyer. The claims adjuster who will take the statement does not have the same interest as you. A recorded statement often addresses critical issues of fault and damage. First speak with a lawyer who can assess whether providing a statement is appropriate and if so, can attend the statement. Do not allow the insurer to address these issues without the benefit of a lawyer acting on your behalf. If the other driver who caused the accident is uninsured, you may be able to obtain compensation through your own insurer. Most automobile insurance policies provide uninsured motorist coverage. This coverage protects you when you are injured by a person who failed to carry insurance. An uninsured motorist claim is governed by the terms of the policy. The recovery of compensation is limited to the amount of coverage purchased. It is important to review the policy to determine the terms and amount of coverage available. Uninsured motorist claims do not typically involve a lawsuit or a jury. If the injured person and their insurer are unable to agree on the issue of liability or the amount of compensation that should be paid, most policies require arbitration of the dispute. Arbitration involves either one judge or a panel of judges hearing the evidence and deciding the issues. If you believe you may have an uninsured motorist claim, contact our office so that the terms of your policy may be reviewed and your rights may be protected. What If the Other Driver Has Limited Insurance Coverage? You may be entitled to compensation from your own insurer under your underinsured motorist coverage. Most automobile policies provide underinsured motorist coverage. Such coverage protects you when the insurance of the other driver is smaller than the coverage you purchased and the compensatory value of your claim exceeds the policy limit of the other driver’s policy. An example of an underinsured motorist claim is as follows:Driver A is involved in a car accident which is the fault of Driver B. Driver A suffers a broken leg and broken wrist. Driver A seeks compensation from Driver B’s insurer whose policy is limited to $20,000.00. Driver A carries underinsured motorist coverage with a limit of $100,000.00. Driver A may be entitled to the $20,000.00 policy limit from Driver B’s insurer and an additional $80,000.00 pursuant to his own underinsured motorist coverage. Whether you are entitled to underinsured motorist benefits depends upon careful review of your insurance policy, the policy of the other driver, the circumstance of the collision and the nature of the injury suffered. The period of time following a serious motor vehicle accident is often stressful and confusing. Get answers to your questions. Contact us to arrange a free initial consultation with an experienced lawyer.